There’s more to performance than speed alone. It’s about feeling truly connected to your vehicle, the road, and your senses. 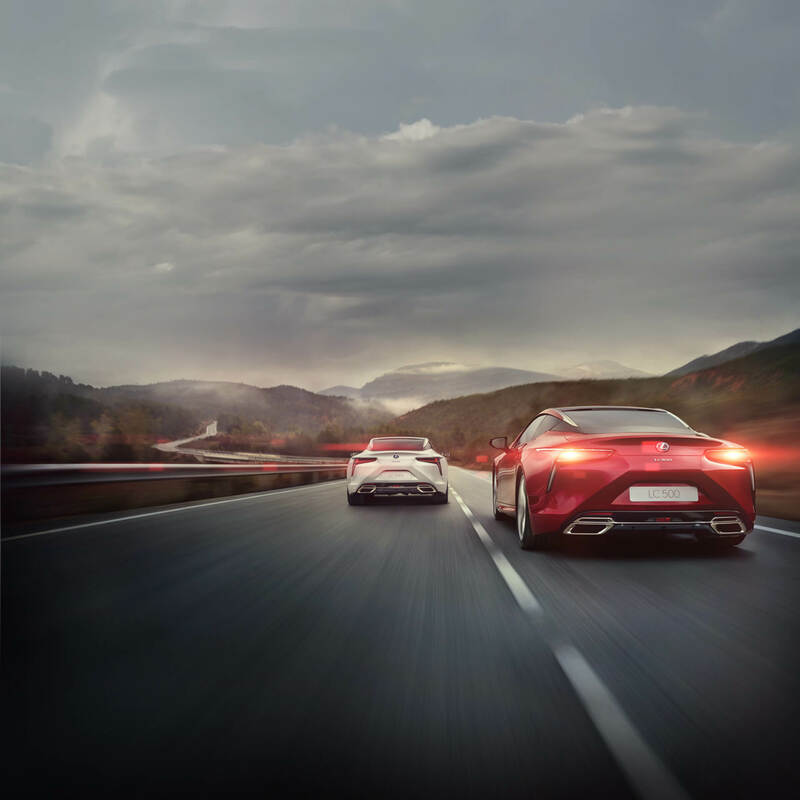 At Lexus, we make it our mission to take you there. Passion makes us human. It also drives us to create amazing cars. Though our engineering is highly technical and fuelled by innovation, when we’re designing, building and testing a model, we put sensory experience and pleasure first. Is the vehicle moving you, in every sense? Does it ignite emotion? Figures and technical specifications matter, but ultimately what really counts for Lexus is how each vehicle feels. Our commitment to enjoyment and sensory exhilaration while driving has a simple name – F Philosophy. No matter which Lexus you choose, our models are designed to bring you a pure, visceral, joyful experience. The LC marks the dawn of a new era for Lexus, and for drivers. It’s powered by a cutting-edge Multi Stage Hybrid System, for a sporting, evocative ride. Inspired by our F Philosophy, our F Models showcase our love for passion and performance. Sit behind the wheel, and you’ll be transported to new heights of sensation. Take your favourite Lexus model and lend it a sportier edge. Our F SPORT cars are elevated with design upgrades both inside and out, alongside subtle suspension tuning, to exhilarating effect.